This post contains an affiliate link. If you make a purchase, I will make a commission at no extra cost to you. Brrr! It’s cold outside ya’ll! Yesterday, we had a high of 62 degrees here in Southern Indiana. Today? COLD and SNOWY! I’m actually one of those people who love winter time. In moderation, of course. 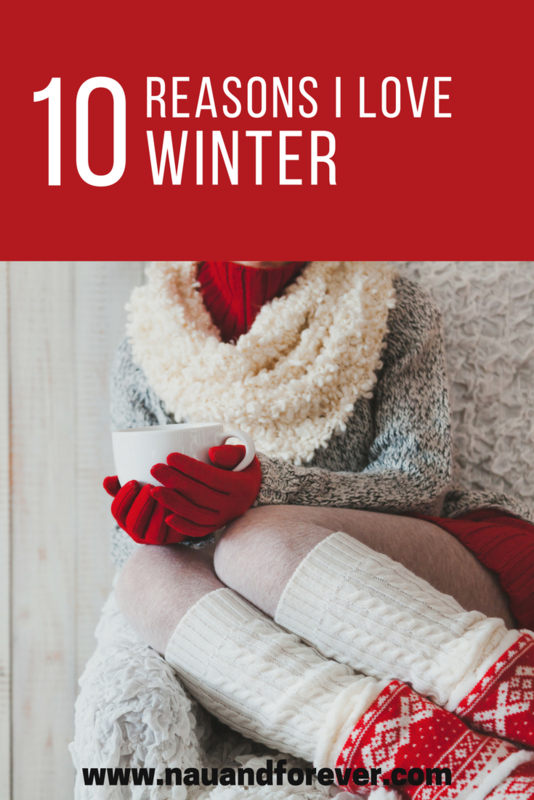 Here are 10 reasons why I love Winter…. Snow. There is something so peaceful about the snow. We have a large field next to our house. When it’s snow covered, it’s so beautiful! And seeing the joy on my girls’ faces when they see it is magical! Early bedtime. Our twins are 3 and they know that when it gets dark, it’s getting close to bedtime. As a SAHM to 3, I sometimes REALLY look forward to that early bedtime. Staying at home. I’m actually an introvert and really enjoy being a homebody. The cold weather is a perfect excuse for me to not go anywhere. I can totally relate to the bears hibernating for winter. See ya’ll in the Spring! Cozy sweaters. I love a great cozy sweater especially since I’m only 4 months postpartum and can hide my postpartum bod under all those layers. Fireplaces. There is something about having a nice warm fire in the living room and get cozy (yep, I’m using that word again) with the hubs and kiddos. Crockpot soups and chili. As a busy mom, I adore my Crockpot. I use it year round, but I especially love it in the winter time, smelling a yummy soup or chili cooking all day. Hot chocolate with those cute little marshmallows. It always reminds me of being a kid! Comfort food. Now, I love eating clean, but I am a born and raised Kentucky gal, so I love some good, down home, comfort food. I usually eat more of it during the cold months. Biscuits and gravy, meatloaf, chili, brownies, basically all the carbs…ok, now I’m super hungry! Slowing down. Everything seems to slow down in the winter time. Life doesn’t seem as crazy and chaotic. Cozy blankets. Yep, I used cozy AGAIN! Clearly, I need a Thesaurus, but I love the word. Curling up on the couch with the family, under an amazing blanket and watching Netflix is my idea of the perfect evening. And speaking of blankets….check out this fabulous faux fur throw! I need this in my life right now! 25% off your first order after you sign up for their emails. and be the first to know about upcoming sales, promotions and events. What are your favorite things about Winter? I’d love to hear!